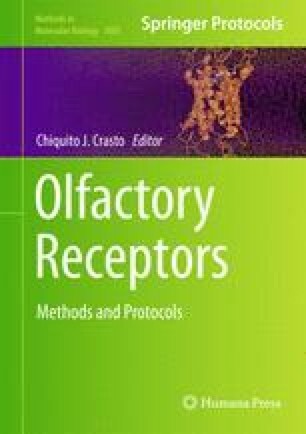 The first bottleneck in olfactory receptor (OR) studies is producing sufficient quantities of soluble, ­functional, and stable receptors. Commercial cell-free in vitro translation systems can be used to produce milligrams of soluble and functional receptors within several hours directly from plasmid DNA. The receptors can be purified using immunoaffinity chromatography and gel filtration, and can be analyzed using gel electrophoresis and with other standard techniques.